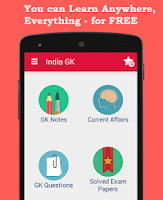 Current Affairs MCQs of 17 July 2015: Current Affairs Daily Multiple Choice Questions (MCQs) for India GK, World GK and current affairs with Collection of daily objective type Question by www.Indiagk.net based on General Knowledge (GK) and General Science (GS) Questions for UPSC, State PSC, SSC, Police exam, Railway exam, SBI, Bank PO, IBPC, SSC, LDC, UDC, Army, Airforce, Navy, Coast Guard, Bank Clerk, TET and all entrance examination with current affairs News, Multiple Choice Questions (MCQs) available on Website www.IndiaGK.net and Android Apps with daily updates:. Middle East respiratory syndrome (MERS), a viral respiratory disease was first identified in ...... ? PM on 17th July Address the function to mark the birth centenary of ....... ? Delhi Police Railway Helpline Number is ? Images from NASA's 'New Horizons' probe has revealed that .......... has mountains made of ice ?